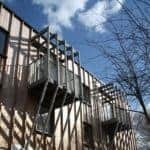 PERFORMANCE actually wasn’t on our original specification, but came in at a later stage because it offered us a more cost-effective alternative for our clients. 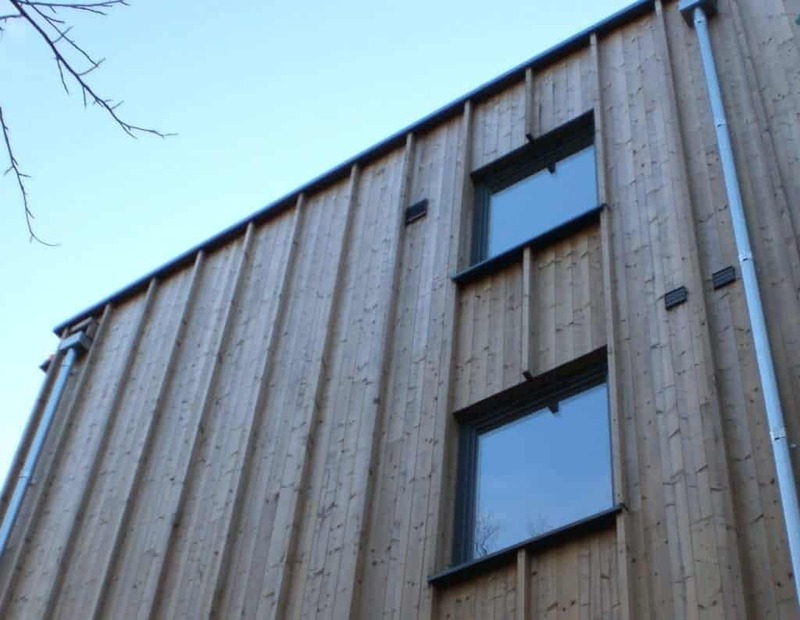 Its use of FSC timber and grade A within the Green Guide helped towards meeting Code requirements and the fact it was certified as Secured by Design enabled us to meet planning requirements for the development. 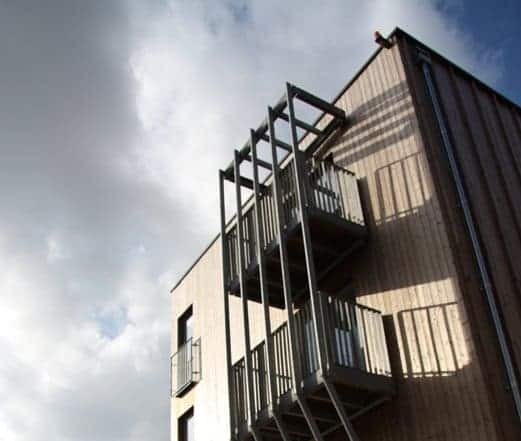 We would definitely consider using PERFORMANCE in the future – they are a decent, economic choice for social housing and we have been very pleased with how they look. Heron Court is a mixed tenure 18-unit residential development in the Thames Gateway, designed for Gallions Housing Association by Bell Phillips Architects, completed in spring 2010. 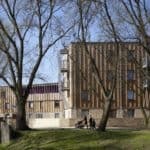 The project is built in a floodplain so Bell Phillips Architects designed it to ensure sleeping accommodation is above the ground floor. 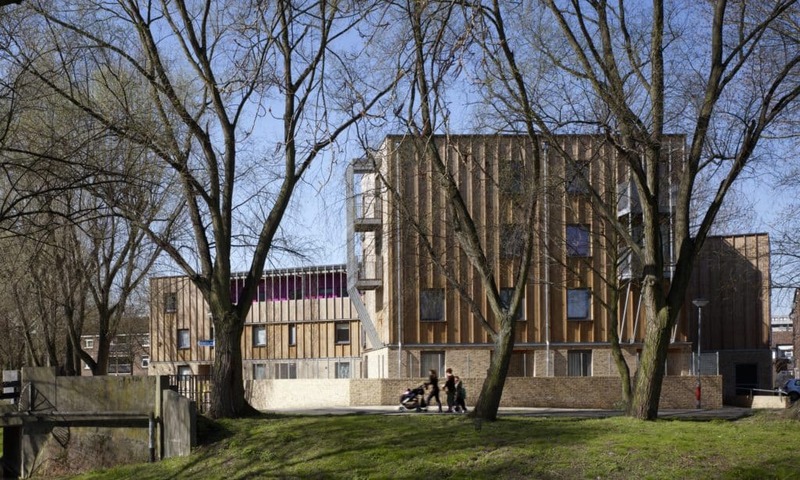 Offering a mix of accommodation, including maisonettes, the design comprises two buildings that face onto communal gardens on one side and a canal on the other. The buildings enclose a south-facing courtyard. The base of the building is masonry, whilst the timber cladding above consciously reflects and complements the mature trees around the site. Solar photovoltaics were installed on the roof, providing 10% of energy for the scheme. A SUDS system was installed to help with drainage, alongside careful landscaping and planting of indigenous plants. 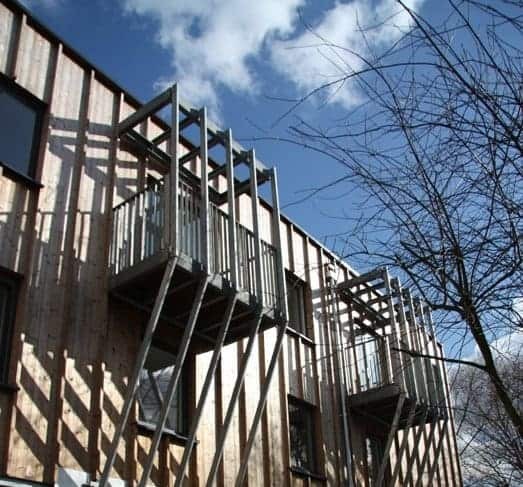 As a housing association project, the Goldcrest Close development needed to meet the requirements of Code for Sustainable Homes Level 3. 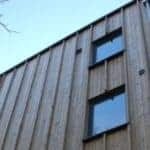 Green Building Store’s PERFORMANCE range of timber windows were installed throughout the project. PERFORMANCE inward-opening windows were specified offering double glazing and a U value of 1.4W/m2K. 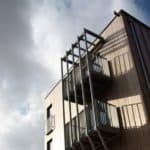 Secured by Design was also a planning requirement for ground floor windows.